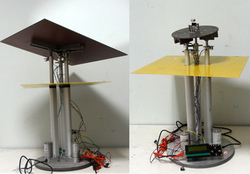 A Three-arm optical tracking system, a WebScope, and a FPGA Based M2M Heterogeneous Virtualization System were some of the winners of the 2012 Worldwide Digilent Design Contest Finals. Eight teams from Romania, US and China competed for glory, honor, and cash prizes. The contest is co-sponsored by Xilinx Inc. and Washington State University. 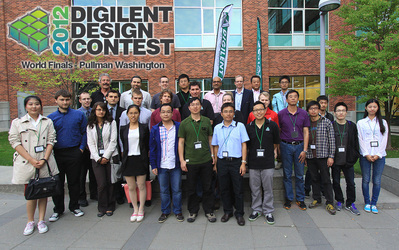 Held in Pullman on September 29th, the student engineering contest was a showdown between projects that won top honors in the 2012 regional Digilent Design Contests Europe, China, United States. 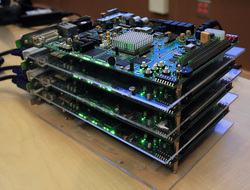 WebScope for Virtual Laboratory – a remote debug system that consists of an FPGA board which hosts a web server. It has a browser-based oscilloscope, signal generator based on a DAC module, controlling the state of I/O pins, logging the data obtained and generating stereo sound.